Freedom is just a dream for women in a male-dominated society: Thousands of women around the world are living and struggling under the patriarchy-ridden systems where they have to live exactly according to the wishes of their male counterparts. For all those women who struggle under this system living without men and with full freedom is a fantasy. Until women educate and empower themselves there would be no freedom for them. 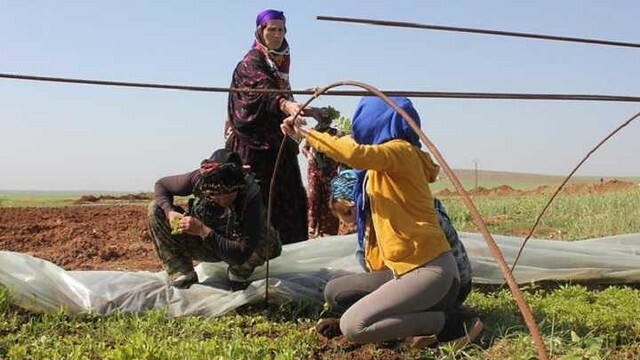 However, in northern Syria, a group of women has transformed this dream into a reality by setting a community which is totally a feminist self-sustainable community and it is all free from various restrictions imposed by capitalism and patriarchy. 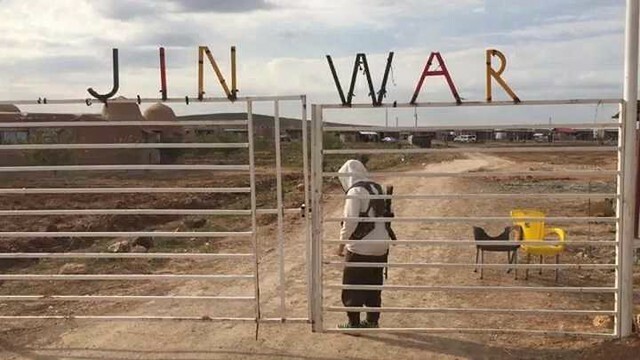 Jinwar – A Women only village: In the Democratic Federation of Northern Syria, which is a de facto autonomous region commonly known as Rojava a women-only village named Jinwar has been established. This place was built with the help of international volunteers and women’s organizations whose basic objective was to give a peaceful place to women to live which is free from all kind of violence and influence. The project was started in 2016 and still, it is in the process but till now it includes 30 homes, a school, a museum, and a medical center. The community official website states that it is a home built by women and for women. The Rojavan women along with their children can live here no matter to which religion or ethnicities they belong to. 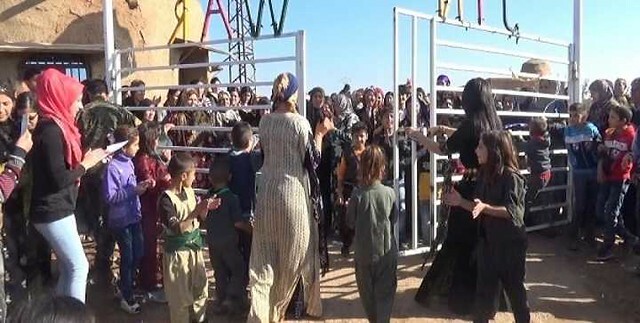 Inspired by the Kurdish Village: As reported by the Independent Newspaper, the idea was inspired by the Kurdish women who have fought against the so-called Islamic state (Daesh) which had the control of the area a few years ago. The extremists have massacred many Yazidis, have also raped many women. Additionally, many women living in that village are the ones who have suffered in the traditional systems and want to challenge the gender roles that are set up traditionally. Women do everything there: In the community, every work is done by the women themselves as the commune is much self-sustainable. From growing crops and building houses to raising the animals every woman is playing its part. On this, the website states that the principle on which the community foundation was laid was self-sustainability and it aims to teach women to look after and provide for their own basic needs. Women who don’t want to be burdened on anyone settle down here: Amira Muhammad a resident of Jinwar, whose husband was killed by Daesh, moved there with her children because she does not want to be dependent on anybody. Another resident Zainab Gavary, a widow moved to this community with her son even though her mother had many objections over it and according to her there is no need of men here and their lives are much good without them. This is not the first community of its type where men are banned. We have already reported Al Samaha Village which is located in Egypt with similar kind of inhabitants. More than 300 women live in that village. 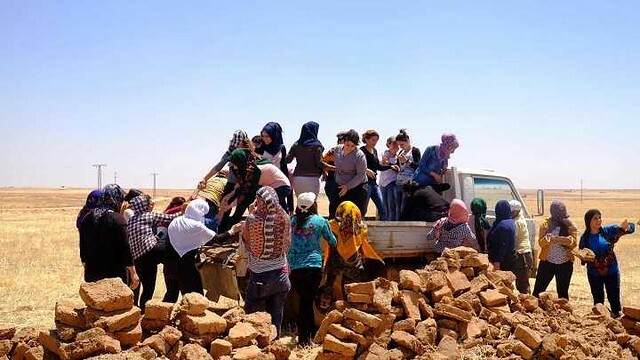 They are better of without men: The residents of these villages have the opinion that in absence of men, women can work and provide for their living and they don’t need men because of their oppressive nature.